A Moray head teacher wants to shine a light on hidden genocides that continue to blight the world. Dozens of youngsters have brought their imagination to life through clay models after getting a masterclass from an animation expert. A Moray youngster will appear on the UK’s most famous children’s TV show tonight, after already receiving star treatment at a film premiere. A Moray schoolteacher has opened a new art exhibition, inspired by the wishes of children. Budding engineers of the future in Moray have got to sample science lessons taught by top experts from the air force. Bilingual pupils at a Moray school have used their artistic talents to promote Scotland to an international audience. The management of a Moray school have been praised for fostering a "culture for improvement" in the classroom. Controversial proposals to close schools in Moray could provoke a repeat of angry parents organising marches to oppose the plans. Budding Burnses and Betjemans at a Moray school had their creative juices stimulated by a visit from Scotland's national poet. The Pizza Soup Crew from Milne's High School in Moray turned their innovative recipe into a real dish with a touch of pizzazz yesterday. Hundreds of pupils at Moray's schools have told the local authority they have been bullied in the past year. A teenager has been charged amid claims threats were made to carry out a bombing and shooting attack at a Moray school. A boy has been charged after taking a knife into a secondary school. Moray Council aims to safeguard a school once threatened with closure as part of plans to radically shake up the region's secondary zones. Moray Council has tabled plans for a radical shake-up of the region's secondary school zones. Pupils from a Moray secondary school have taken to the stage to try to warn younger children about the dangers of drugs. 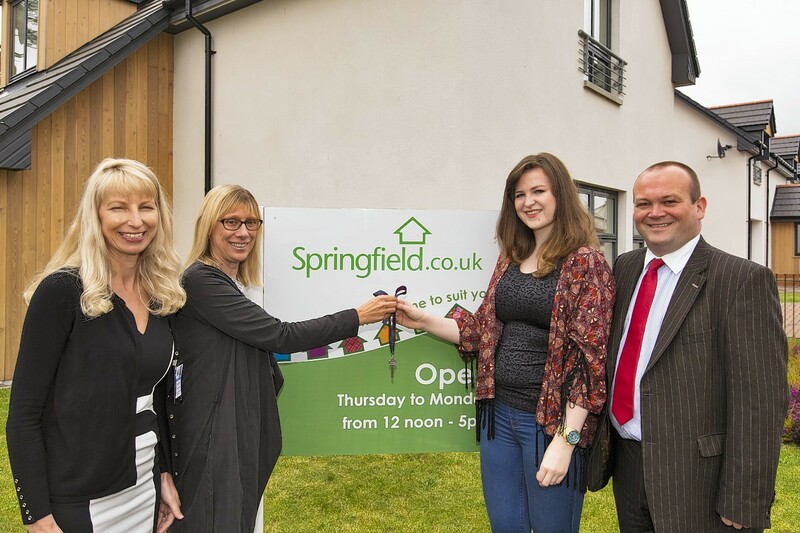 A teacher has been given the keys to her new flat - which she will enjoy rent-free for the next six months. 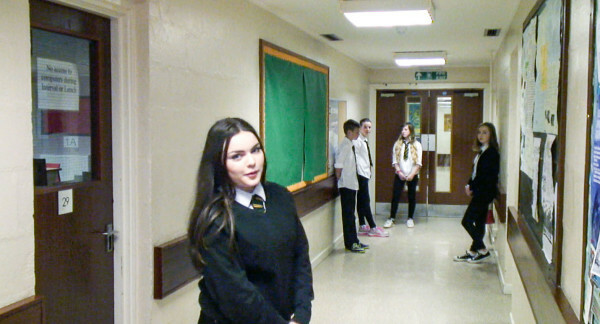 Students at a Moray high school have created a film to try and make the move from primary school less daunting. 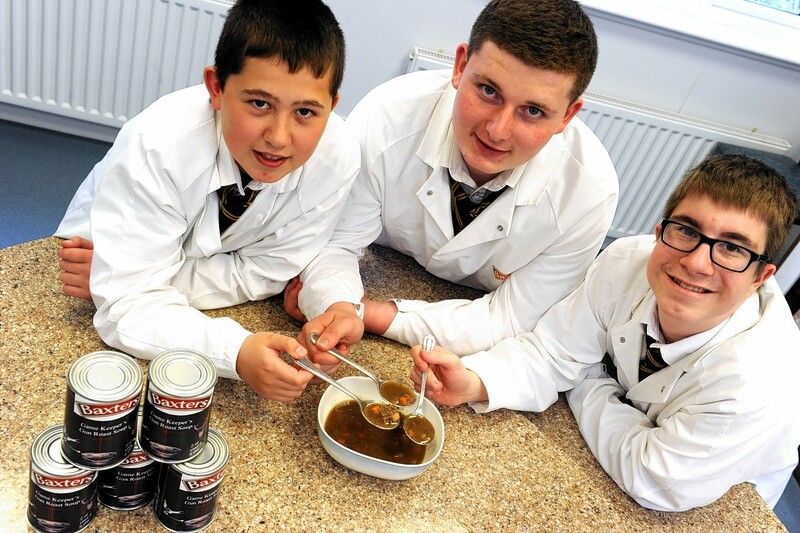 School pupils saw their special soup recipe stirred into life at Baxters famous food factory. 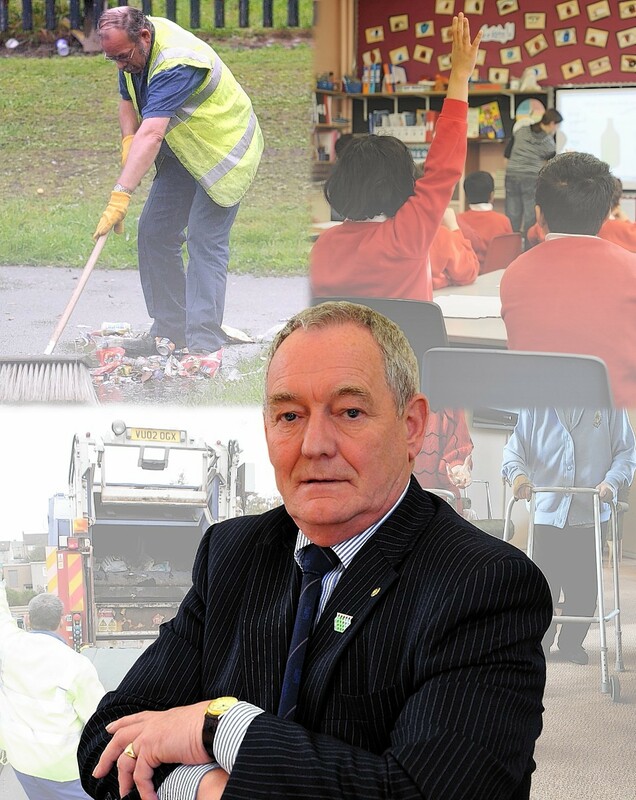 Residents in Moray are being warned to brace themselves for further budget cuts following this week's surprise decision to block a series of school closures. 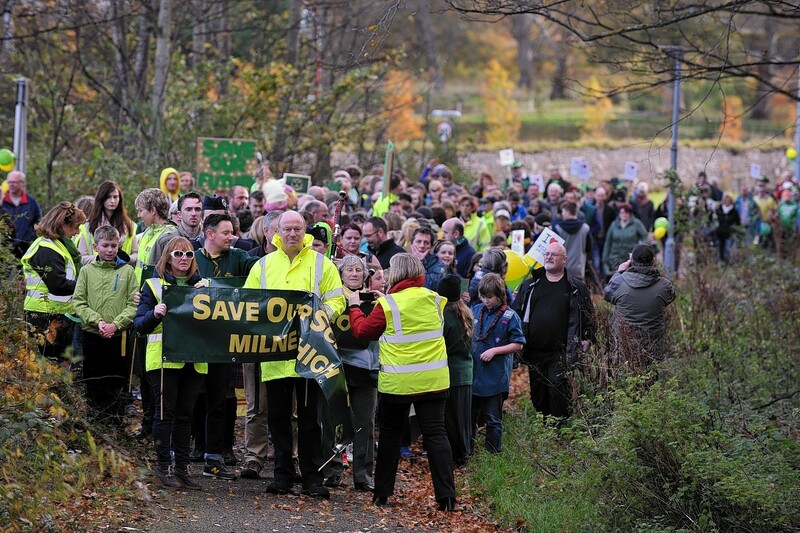 A Moray village was awash with green and gold yesterday as hundreds of placard-waving campaigners marched in protest at plans to close their local secondary. 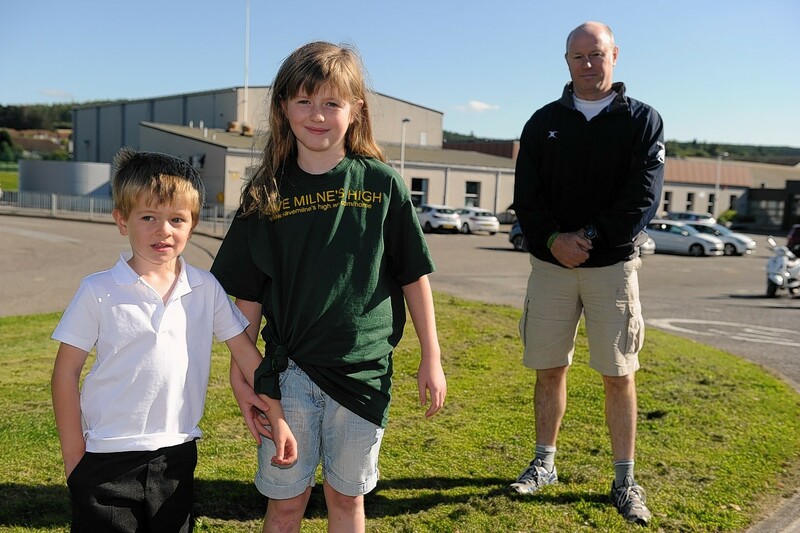 PARENTS battling to stop a Moray school being axed are pinning their hopes on people power. 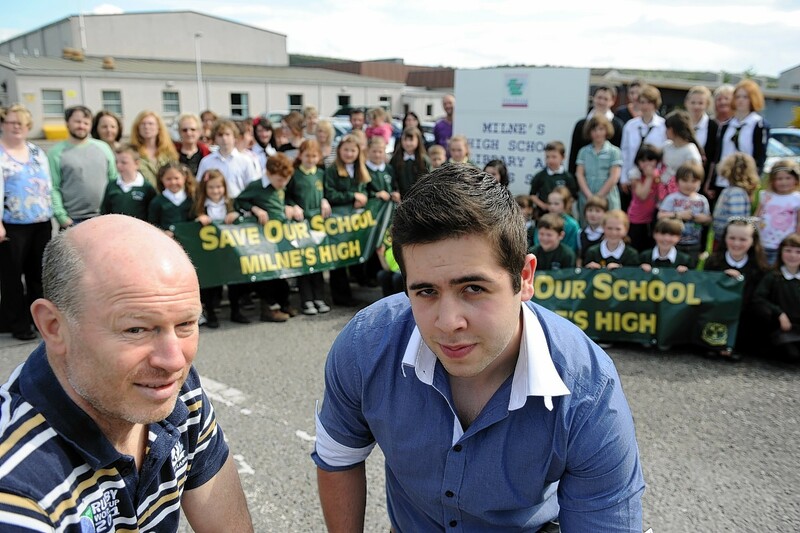 The proposals to close Milne's High School in Fochabers were opposed by 75% of the respondents to an online survey. Concerned parents with pupils attending closure threatened schools say the publishing of the timetable for the sustainable education review gives them something to work towards. 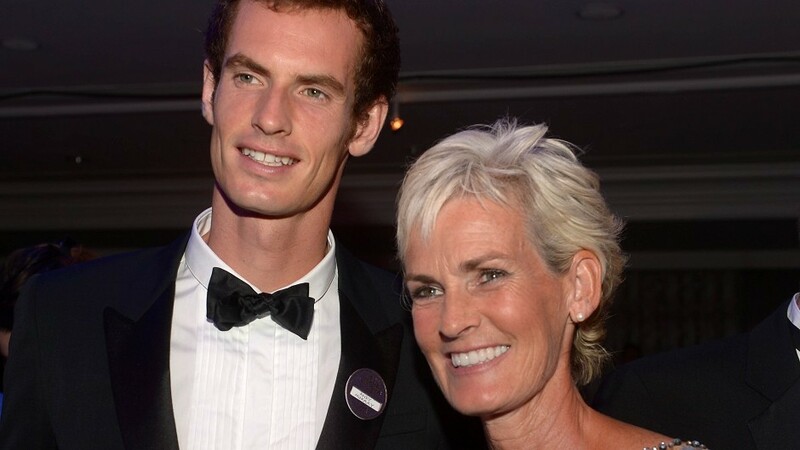 The Save Milne's High School campaign is hoping to get the backing of Scots tennis star Andy Murray's mother. 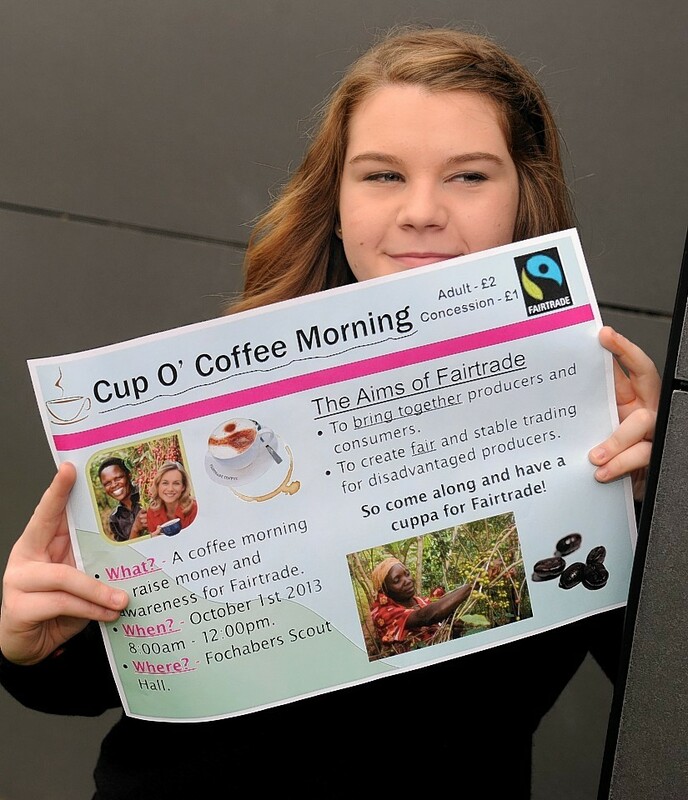 Two pupils from Milne's High School in Fochabers have reached the finals in a national print competition. Uncertainty over the future of a Moray secondary school could put people off moving to the town, and send house prices plummeting, residents have warned.